It's farewell from Jamie Hacker Hughes. Our theme for this month is that of psychology and spirituality (and see the ‘New voices’ piece on incorporating faith in therapy). In my interview here last May I stressed the importance of a biopsychosociospiritual framework, as opposed to a mere biopsychosocial one. Is a spiritual dimension important in psychology? I believe that it is. I would argue that the spiritual element of psychology is achieving ever-increasing prominence in society. The launch of the ‘Mindful Nation’ report of the All Party Parliamentary Group on Mindfulness in the Houses of Parliament in Westminster just six months ago, informed by some of our eminent psychologists, is just one example of what is happening. There are a spiralling number of books, apps, courses and classes. So what should we, as psychologists, be doing about all this? There is already a very long tradition of psychologists with a religious faith or heritage, and there are many examples of Jewish and Christian psychologists, Buddhists, Muslims, Sikhs and others so the obvious answer would seem to be more research, writing and research-based practice. I hope to do some more of all of these, together with others from a variety of faith and non-faith backgrounds, once the pressures of BPS presidency subside. Speaking of which, by the end of this month we shall have said goodbye to our Vice President, Dot Miell, congratulations and good luck to a new President, Peter Kinderman, welcome to a new President Elect (I shall be announcing her or his name at the AGM at Annual Conference) and, of course, I shall have come to end of my term as our President. The wonderful privilege that Presidents have is that of being able to see our whole Society in all its diversity. Over the course of the year I shall have spent time with all of our Divisions and visited all of our Branches (some on many occasions) and also visited with a number of our Special Groups and Sections. 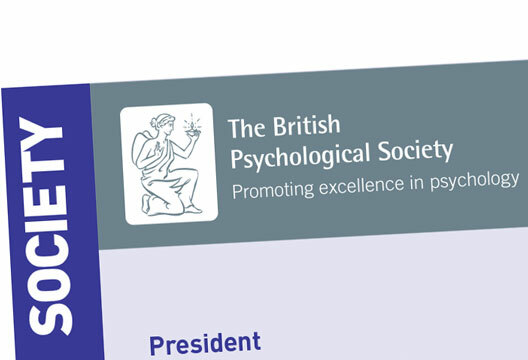 The BPS is growing – we welcomed our 50,000th member, George Kitsaras, at last year’s Annual Conference in Liverpool, and by the time we get to this year’s in Nottingham we could have nearly one BPS psychologist in every thousand people! In all our networks, wonderful things are happening – cutting-edge science, influence on national policy and in the media, active participation in social justice. In fact, developments right across all six pillars of our strategic plan. I came in as President to help our Society and our discipline to become more visible, vocal and impactful and it’s really gratifying to witness all of these beginning to happen. Several of our psychologists have received major national, scientific and academic awards over the year too, but, very sadly, far too many of our brightest and best have died, many far before their time. So - thank you for electing me. It’s been the hardest, busiest, job that I have had in my life so far. My work in helping to make our Society more accessible, democratic and inclusive – both in seeing the Structural Review through to its conclusion, as Vice President, and supporting Peter and working with the new President Elect over the year ahead – will go on for another year. But it’s been a huge privilege. Thank you. - Jamie Hacker Hughes is President of the British Psychological Society. Contact him at [email protected] or follow on Twitter.